Rotomolding is a process that many call a "black art"- a little bit of science, a little bit of mystery. While a number of companies have entered the rotomolding industry over the last several decades, many keep a near tunnel vision like focus on the small industry segments that they cater to. Some rotational molding entities focus on children's toys, some focus strictly on tanks, some focus primarily on laundry carts, while even fewer practice a quality driven focus on true custom rotomolding. 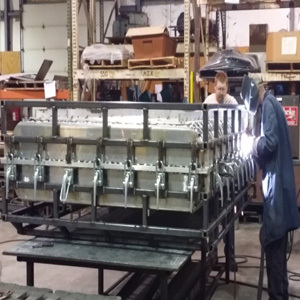 Over the last 2 decades, one rotomolding company has emerged as a true rotational molding leader, Granger Plastics Company. With over 2 decades of internationally recognized rotomolding experience and leadership, Granger has continued on the forefront of providing rotomolded solutions to a plethora of industries ranging from Aerospace and Defense to Waste Management and virtually everything in between. Founded in 1994 by rotational molding veteran, John Grimes, Granger quickly established a presence in Ohio, what many proclaim as the rotomolding capital of the world. Granger Plastics was founded with a focus on custom rotational molding and over 20 years later, Granger maintains a laser like focus on qualty custom rotational molding. In the fall of 1998, Grimes pursued and hired Jim Cravens, a former coworker of Grimes' past in rotomolding. Granger Plastics continued to grow and expand at its Middletown, Ohio location, providing solutions for companies all across the globe. Granger continued its growing ways as the new millenium approached. In 2002, Grimes decided to retire from rotational molding after decades of commitment and dedication to the rotomolding industry. 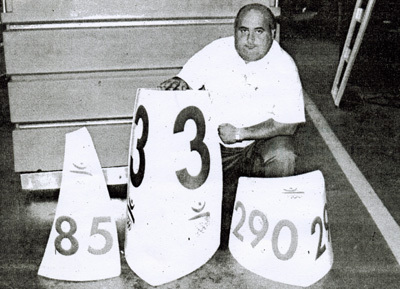 Cravens and the previous business parter of Grimes, an Ohio buisnessman by the name of Jack Cobb would continue as ownership of the rotomolding company. Granger would go on to develop a number of industry leading innovations across numerous industries. Granger Plastics would continue to grow its customer base both domestically and internationally, providing solutions to some of the biggest names in industry, while still maintaining a focus on quality and customer service, nourishing the growing relationships of both large and small customers alike. Granger's customers range from Fortune 500 companies to mom and pop shops that have a need for a high quality, rotationally molded products. 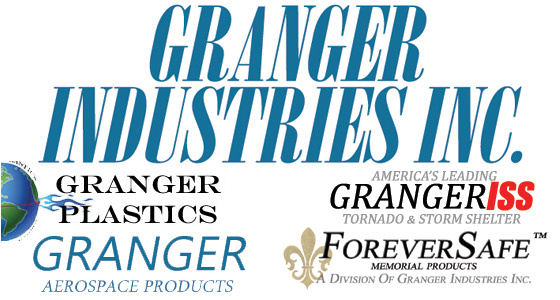 Over the last decade, Granger Plastics Company has expanded to include Granger Aerospace Products, ForeverSafe Products and the internationally recognized Granger ISS Tornado Shelter to its own proprietary product lines to complement the custom rotational molding success. Providing world-class custom rotomolding solutions, Granger provides a complete source for rotational molding services. Providing quality focused rotational molding services for a growing number of OEMs and various businesses in a wide variety of industry, ranging from Aerospace to Waste Management and virtually everything in between! 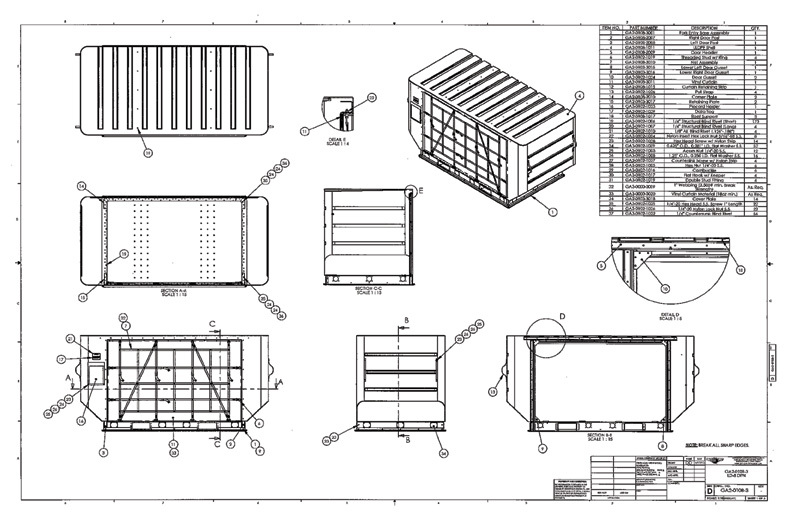 Granger Plastics Company has been involved with the production of Air Cargo Containers and ULD Containers for over 20 years. Granger's commitment to high quality Aerospace and Defense sector products and components lead to the decision to introduce Granger Aerospace to focus on providing these high quality solutions to their respective industries. While offering custom molded solutions, Granger Aerospace also offers a line of (6) standard ULD Containers, commonly used in the Aerospace sectors. Holding a highly lauded FAA issued TSO C90d, Granger Aerospace continues to lead the Aerospace Rotomolding industry. With 2 decades of Tornado Shelter experience, Granger Plastics continues to innovate the Tornado and Storm Shelter industry providing industry leading durability while offering the longest usable life span of any tornado shelter on the planet. Requiring less maintenance than it's steel, concrete and fiberglass counterparts, the Granger ISS provides thousands of families across the world near absolute tornado protection. Featuring a patented design on its underground storm shelter, Granger stays committed to quality and excellence for the protection of your loved ones. The ForeverSafe Products division of Granger Industries maintains a focus on theft deterrent memorial products. As societal and economic issues across the globe plague communities, cemetery theft continues to escalate into the millions of dollars each year. At the request of numerous cemeteries and funeral homes, Granger developed a line of rotationally molded cemetery flower vases and water tight burial urns, beautifully constructed from polyethylene in metallic and granite like finishes. The cemetery flower vases are capable of functioning just like any other cemetery vase while adapting to fit most existing cannisters, markers and memorials. ForeverSafe's water tight burial urns also feature carefully crafted metallic and granite like finishes, while providing water tight construction, which allows for the urn to be directly into the ground with no vault. Bring your loved ones flowers forever with ForeverSafe! Looking for a quote on your new or existing rotomolding project? Click here! Need design assistance from one of the industry's best design teams? Learn more about Rotomlding Design! Quality driven, solutions based Rotomolding leader. Complete Rotational Molding Solutions. High quality molds and tooling for the rotomolding process. Also providing modifications and maintenance.